On a dock in the harbour of Trieste there is a wind star: Trieste is the city of winds. Bora, libeccio, scirocco or mistral bring into town every possible cultural and culinary tradition from all cardinal points. 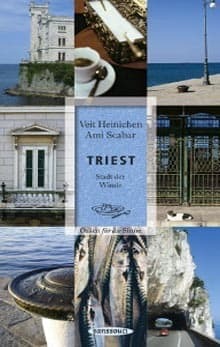 Veit Heinichen and Ami Scabar invite us to discover with our five senses the Carso’s wineyards, the salt fields and the fishermen’ villages on the Adriatic Sea. And moreover, they invite us for a walk on the footsteps of Svevo, Rilke and Joyce. "There may be no better way to understand a city. "